Pushed by some friends – and at a fortunately discounted price – I finally gave in and made it to an AWS exam; so call me certified now. Just so. However, this has nothing to do with the matter in discussion, here: While awaiting the exam, I talked to some fellow cloud geeks and was surprised again by them confusing up and down and out and in again – as experienced so many times before; so::: this is about “Scaling”! is subject to the framework implementation possibilities and respective architecture decisions. For the scale-up/-down pattern, the hypervisor (or IaaS service layer) managing cloud compute resources has to provide the ability to dynamically (expectedly without outage; but that’s not granted) increase the compute and memory resources of a single machine instance. The trigger for scaling execution can either be implemented within a dedicated cloud automation engine, within the Scalability building block or as part of a self-service portal command, depending on the intended flexibility. 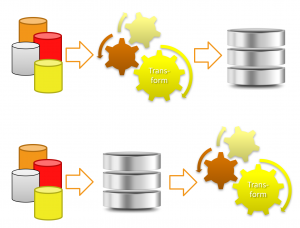 Both cases possibly demand for (automated) loadbalancer reconfiguration and for the capability of the application to deal with changing server resources. Respectively, scale-in means to de-provision instances once load parameters have sufficiently decreased. An application on top has to be able to deal with dynamically de-provisioned server instances. In a scenario where the application’s data layer is involved in the scaling process (i.e. 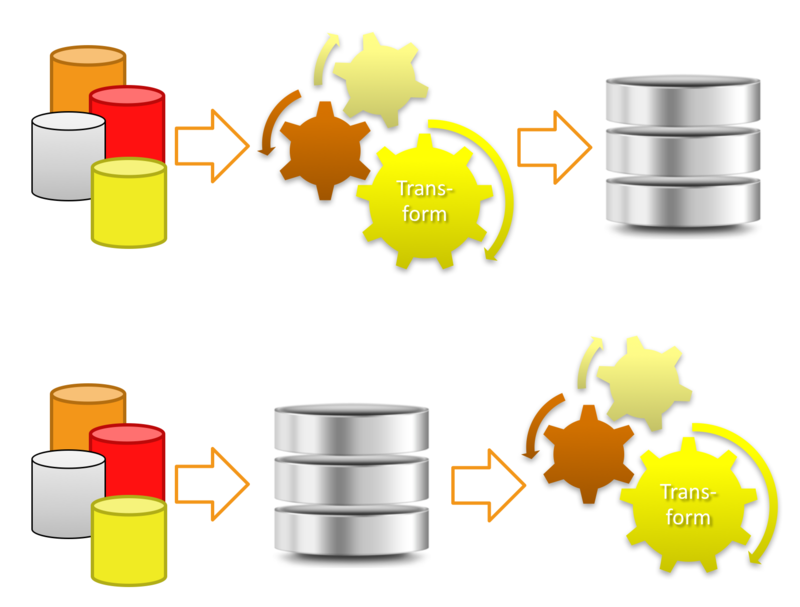 a DBMS is part of the server to be de-provisioned) measures have to be taken by the application to reliably persist data before shutdown of the respective resource. It occured to me that two silly graphics could ease to remember the difference, hence I do invite you all to think of a memory IC as a little bug climbing up a ladder and in turn of computers bursting out a data center. Does that make it easier to distinguish the two patterns? You think you don’t need to care? I’ve worked on cloud computing frameworks with a couple of companies meanwhile. 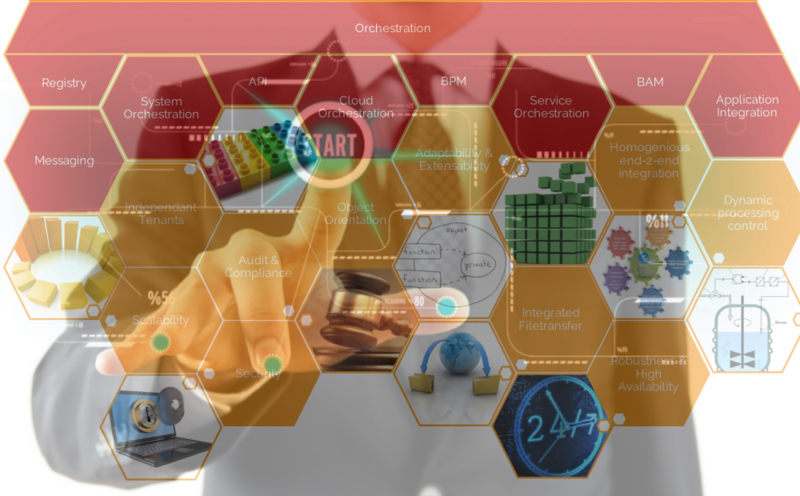 DevOps like processes are always an issue along with these cooperations – even more when it comes to monitoring and how to innovatively approach the matter. As an example I am ever and again emphasizing Netflix’s approach in these conversations: I very much like Netflix’s philosophy of how to deploy, operate and continuously change environment and services. Netflix’s different component teams do not have any clue on the activities of other component teams; their policy is that every team is self-responsible for changes not to break anything in the overall system. Also, no one really knows in detail which servers, instances, services are up and running to serve requests. Servers and services are constantly automatically re-instantiated, rebooted, added, removed, etc. Such is a philosophy to make DevOps real. After discussing these facts the umpteenth time and (again) being confronted with the same old arguments about the importance of ubiquitous information on every single event within a system (for the sake of proving SLA compliancy), I thought to give it a try and dig deeper by myself to find out whether these arguments are valid (and I am therefore wrong) or whether there is a possibility to substantially reduce event occurrence and let IT personal only follow up the really important stuff. Efficiently. DISCLAIMER: I am not a monitoring or APM expert; neither am I a .NET programming expert. 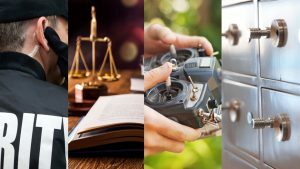 Both skill areas are fairly familiar to me, but in this case I intentionally approached the matter from a business perspective – as least technical as possible. In autumn last year I had the chance to get a little insight into 2 pure-SaaS monitoring products: Ruxit and newRelic. Ruxit back then was – well – a baby: Early beta, no real functionality but a well-received glimpse of what the guys are on for. newRelic was already pretty strong and I very much liked their light and quick way of getting started. As that project back then got stuck and I ended my evaluations in the middle of getting insight, I thought, getting back to that could be a good starting point (especially as I wasn’t able to find any other monitoring product going the SaaS path that radically, i.e. not even thinking of offering an on-premise option; and as a cloud “aficionado” I was very keen on seeing a full-stack SaaS approach). So the product scope was set pretty straight. How easy is it to kick off monitoring within one system? 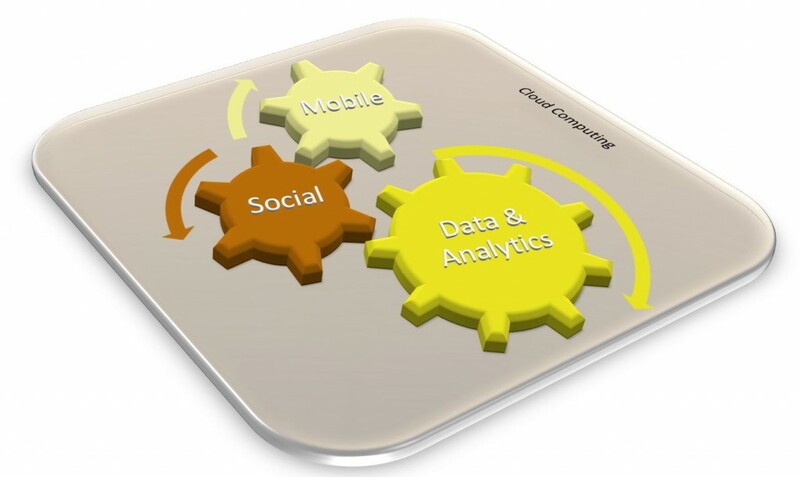 How easy is it to combine multiple systems (on-premise and cloud) within one easy-to-digest overview? What steps are needed in order to add APM to a system already monitored? Correlation of events and its appearance? The “need to know” principle: Impact versus alert appearance? 2 things popped into my eyes only hours (if not minutes) after commencing my activities in newRelic and Ruxit, but let’s first start with the basics. Setting up accounts is easy and straight forward in both systems. They are both truly following the cloud affine “on-demand” characteristic. newRelic creates a free “Pro” trial account which is converted into a lifetime free account when not upgraded to “paid” after 14 days. Ruxit sets up a free account for their product but takes a totally different approach – closer resembling to consumption-based pricing: you get 1000 hours of APM and 50k user visits for free. Download the appropriate monitoring agent and run the installer. Done. Both agents started to collect data immediately and the browser-based dashboards produced the first overview of my system within some minutes. It wasn’t really a problem for the agent to install and operate properly and produce data; it was just a little confusing. In essence, the reason for this is fairly obvious: The agent is using a technique which is comparable to typical virus intrusion patterns, i.e. sticking its fingers deep into the system. The second observation was newRelics approach to implement web browser remote checks, called “Synthetics”. It was indeed astonishingly easy to add a URL to the system and let newRelic do their thing – seemingly from within the AWS datacenters around the world. 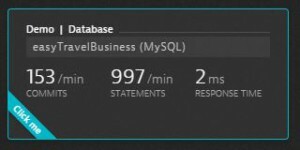 And especially with this, newRelic has a very compelling way of displaying the respective information on their Synthetics dashboard. Easy to digest and pretty comprehensive. At the time when I started off with my evaluation, Ruxit didn’t offer that. Meanwhile they added their Beta for “Web Checks” to my account. Equally easy to setup but lacking some more rich UI features wrt display of information. I am fairly sure that this’ll be added soon. Hopefully. My take is, that combining system monitoring or APM with insights displaying real user usage patterns is an essential part to efficiently correlate events. I always spend a second thought on security questions, hence contemplated Ruxit’s way of making sure that an agent really connects to the right tenant when being installed. With newRelic you’re confronted with an extra step upon installation: They ask you to copy+paste a security key from your account page during their install procedure. After having applied the package (both packages) onto my Windows Server on EC2 things popped up quickly within the dashboards (note, that both dashboard screenshots are from a later evaluation stage; however, the basic layout was the very same at the beginning – I didn’t change anything visually down the road). What instantly stroke me here was the simplicity of Ruxit’s server monitoring information. It seemed sort-of “thin” on information (if you want a real whole lot of info right from the start, you probably prefer newRelic’s dashboard). Things, though, changed when my server went into memory saturation (which it constantly does right away when accessed via RDP). At that stage, newRelic started firing eMails alerting me of the problem. Also, the dashboard went red. Ruxit in turn did nothing really. Well, of course, it displayed the problem once I was logged into the dashboard again and had a look at my server’s monitoring data; but no alert triggered, no eMail, no red flag. Nothing. 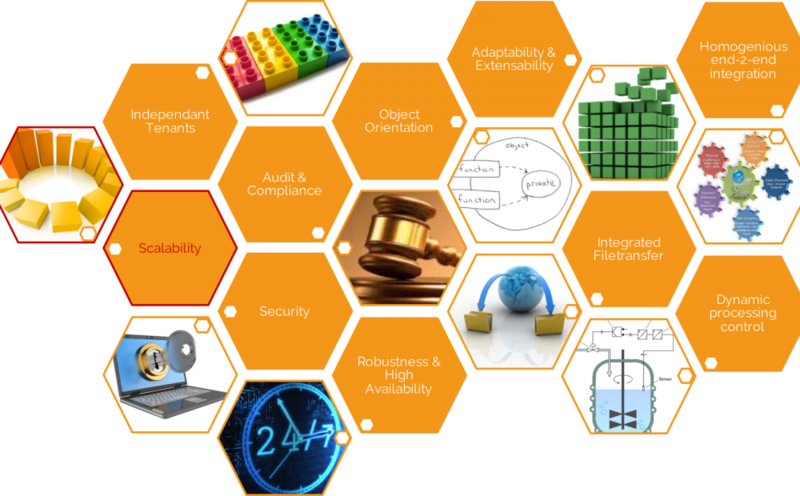 If you’re into SLA fulfilment, then that is precisely the moment to become concerned. On second thought, however, I figured that actually no one was really bothered by the problem. There was no real user interaction going on in that server instance. I hadn’t even added an app really. Hence: why bother? 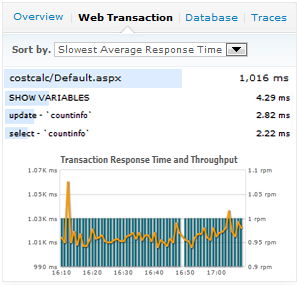 So, next step was to figure out, why newRelic went so crazy with that. It turned out that with newRelic every newly added server gets assigned to a default server policy. I could turn off that policy easily (also editing apparently seems straight forward; I didn’t try). However, to think that with every server I’m adding I’d have to figure out first, which alerts are important as they might be impacting someone or something seemed less on a “need to know” basis than I intended to have. After having switched off the policy, newRelic went silent. BTW, alerting via eMail is not setup by default in Ruxit; within the tenant’s settings area, this can be added as a so called “Integration” point. As said above, I was keen to know how both systems integrate multiple monitoring sources into their overviews. My idea was to add my AWS tenant to be monitored (this resulted from the previously mentioned customer conversations I had had earlier; that customer’s utmost concern was to add AWS to their monitoring overview – which in their case was Nagios, as said). A nice thing with Ruxit is that they fill their dashboard with those little demo tiles, which easily lead you into their capabilities without having setup anything yet (the example below shows the database demo tile). Right after having executed the steps, the aforementioned demo tiled changed into displaying real data and my AWS resources showed up (note, that the example below already contains RDS, which I added at a later stage; the cool thing here was, that that was added fully unattended as soon as I had created it in AWS). Ruxit essentially monitors everything within AWS which you can put a CloudWatch metric on – which is a fair lot, indeed. Adding APM to my monitoring ecosystem was probably the most interesting experience in this whole test: As a preps for the intended result (i.e. : analyse data about a web application’s performance at real user interaction) I added an IIS to my server and an RDS database to my AWS account (as mentioned before). The more interesting fact, though, was that after having finalized the IIS installation, Ruxit instantly showed the IIS services in their “Smartscape” view (more on that a little later). I didn’t have to change anything in my Ruxit environment. newRelic’s approach is a little different here. The below screenshot shows their APM start page with .NET selected. After having confirmed each selection which popped up step by step, I was presented with a download link for another agent package which I had to apply to my server. The interesting thing, though, was, that still nothing showed up. No services or additional information on any accessible apps. That is logical in a way, as I did not have anything published on that server yet which resembled an application, really. The only thing that was accessible from the outside was the IIS default web (just showing that IIS logo). So, essentially the difference here is that with newRelic you get system monitoring with a system monitoring agent, and by means of an application monitoring agent you can add monitoring of precisely the type of application the agent is intended for. I didn’t dig further yet (that may be subject for another article), but it seems that with Ruxit I can have monitoring for anything going on on a server by means of just one install package (maybe one more explanation for the aforementioned virus scan alert). However, after having published my .NET application, everything was fine again in both systems – and the dashboards went red instantly as the server went into CPU saturation due to its weakness (as intended ;)). So, final question to answer was: What do the dashboards show and how do they ease (root cause) analysis? 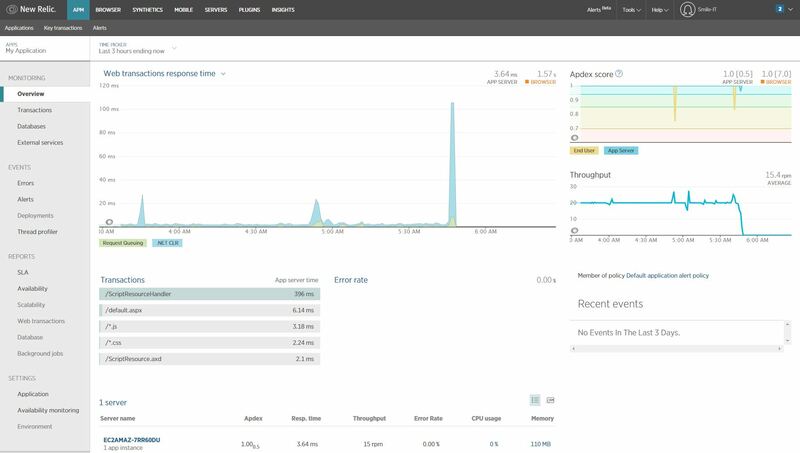 As soon as the app was up and running and web requests started to role in, newRelic displayed everything to know about the application’s performance. Particularly nice is the out-of-the-box combination of APM data with browser request data within the first and the second menu item (either switch between the 2 by clicking the menu or use the links within the diagrams displayed). The difficulty with newRelic was to discover the essence of the web application’s problem. Transactions and front-end code performance was displayed in every detail, but I knew (from my configuration) that the problem of slow page loads – as displayed – lied in the general weakness of my web server. By this view, it was obvious that the problem was either within the application itself or within the server as such. A click to the server not only reveals the path to the depending web application but also other possibly impacted services (obviously without end user impact as otherwise there would be an alert on them, too). And digging into the server’s details revealed the problem (CPU saturation, unsurprisingly). Still, the amount of dashboard alerts where pretty few. While I had 6 eMails from newRelic telling me about the problem on that server, I had only 2 within Ruxit: 1 telling me about the web app’s weak response and another about CPU saturation. Event correlation and alerting on a “need to know” basis – at least for me – remains the right way to go. This little test was done with just one server, one database, one web application (and a few other services). While newRelics comprehensive approach to showing information is really compelling and perfectly serves the objective of complete SLA compliancy reporting, Ruxit’s “need to know” principle much more meets the needs of what I would expect form innovative cloud monitoring. Considering Netflix’s philosophy from the beginning of this article, innovative cloud monitoring basically translates into: Every extra step is a burden. Every extra information on events without impact means extra OPS effort. And every extra-click to correlate different events to a probable common root-cause critically lengthens MTTR. 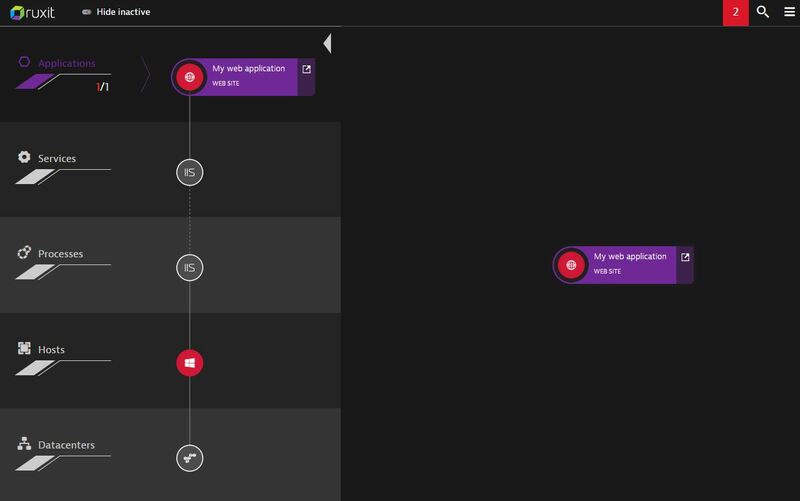 A “need to know” monitoring approach while at the same time offering full stack visibility of correlated events is – for me – one step closer to comprehensive Cloud-ready monitoring and DevOps. And Ruxit really seems to be “spot on” in that respect! Recently I began looking for an application performance management solution for .NET. My requirements are code level visibility, end to end request tracing, and infrastructure monitoring in a DevOps production setup. DotTrace is clearly the most well-known tool for code level visibility in development setups, but it can’t be used in a 24×7 production setup. DotTrace also doesn’t do typical Ops monitoring. Unfortunately a Google search didn’t return much in terms of a tool comparison for .NET production monitoring. So I decided to do some research on my own. Following is a short list of well-known tools in the APM space that support .NET. 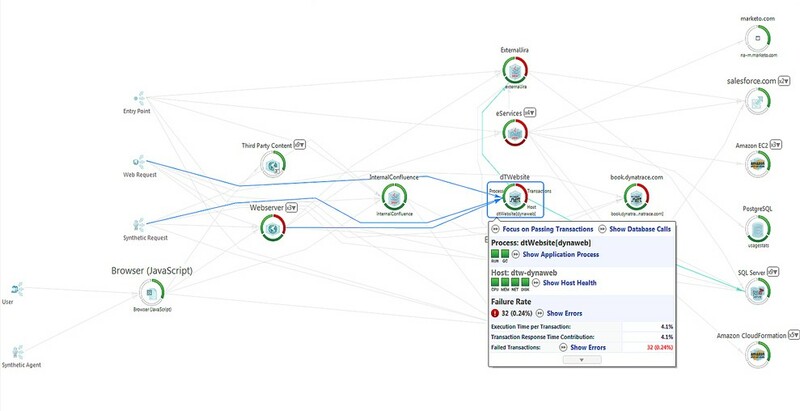 My focus is on finding an end-to-end solution and profiler-like visibility into transactions. New Relic was the first to do APM SaaS, focused squarely on production with a complete offering. 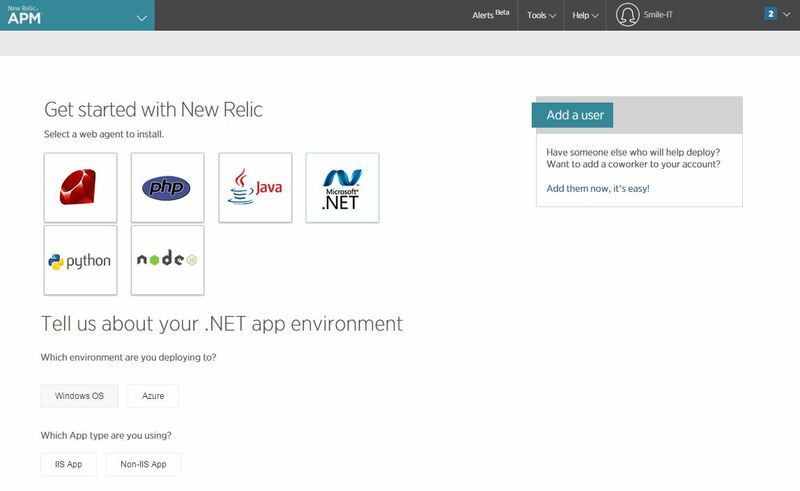 New Relic offers web request monitoring for .NET, Java, and more. It automatically shows a component-based breakdown of the most important requests. The breakdown is fairly intuitive to use and goes down to the SQL level. Code level visibility, at least for .NET, is achieved by manually starting and stopping sampling. This is fine for analyzing currently running applications, but makes analysis of past problems a challenge. New Relic’s main advantage is its ease of us, intuitive UI, and a feature set that can help you quickly identify simple issues. Depth is the main weakness of NewRelic. As soon as you try to dig deeper into the data, you’re stuck. This might be a minor point, but if you’re used to working with a profiler, you’ll miss CPU breakdown as New Relic only shows response times. Dynatrace is the vendor that started the APM revolution and is definitely the strongest horse in this race. Its feature set in terms of .NET is the most complete, offering code level monitoring (including CPU and wait times), end to end tracing, and user experience monitoring. As far as I can determine, it’s the only tool with a memory profiler for .NET and it also features IIS web request insight. 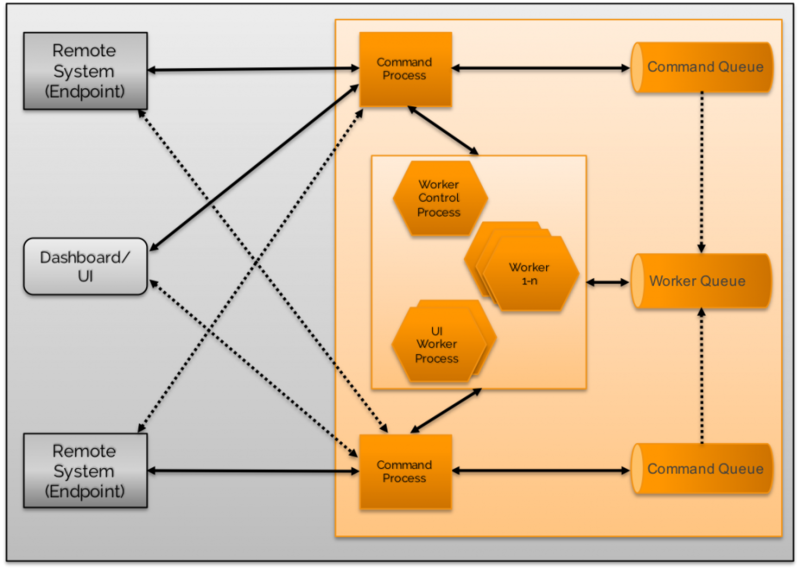 It supports the entire application life cycle from development environments, to load testing, to production. As such it’s nearly perfect for DevOps. Due to its pricing structure and architecture it’s targeted more at the mid to enterprise markets. In terms of ease of use it’s catching up to competition with a new Web UI. It’s rather light on infrastructure monitoring on its own, but shows additional strength with optional Dynatrace synthetic and network monitoring components. 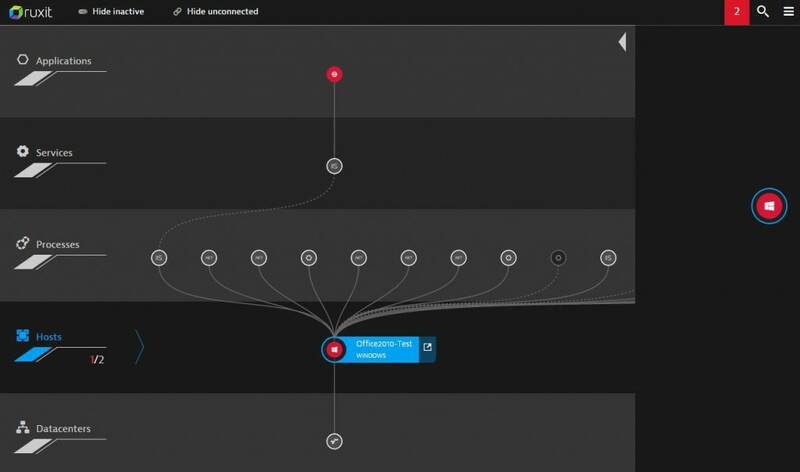 Ruxit is a new SaaS solution built by Dynatrace. 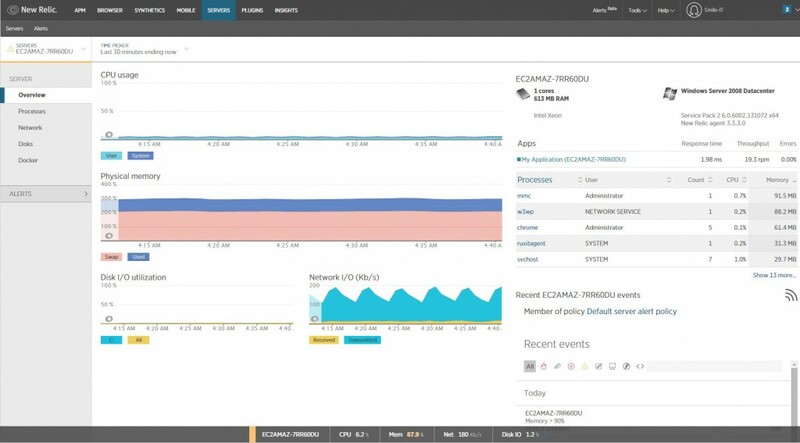 It’s unique in that it unites application performance management and real user monitoring with infrastructure, cloud, and network monitoring into a single product. It is by far the easiest to install, literally takes 2 minutes. It features full end to end tracing, code level visibility down to the method level, SQL visibility, and RUM for .NET, Java, and other languages, with insight into IIS and Apache. Apart from this it has an analytics engine that delivers both technical and user experience insights. Its main advantages are its ease of use, web UI, fully automated root cause analysis, and frankly, amazing breadth. Its flexible consumption based pricing scales from startups, cloud natives, and mid markets up to large web scale deployments of ten-thousands of servers. 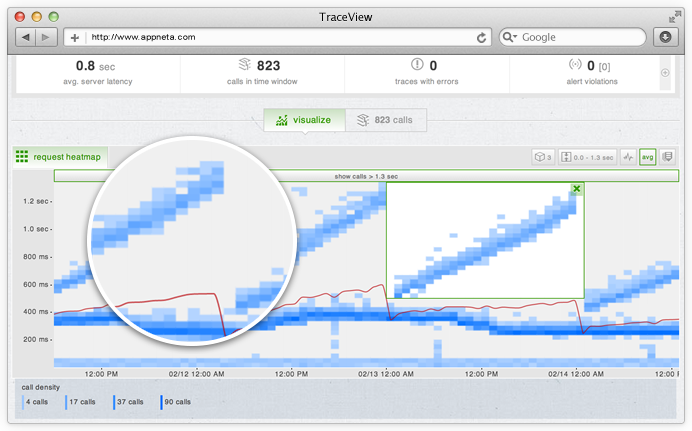 AppNetta‘s TraceView takes a different approach to application performance management. It does support tracing across most major languages including database statements and of course .NET. It visualizes things in charts and scatter plots. 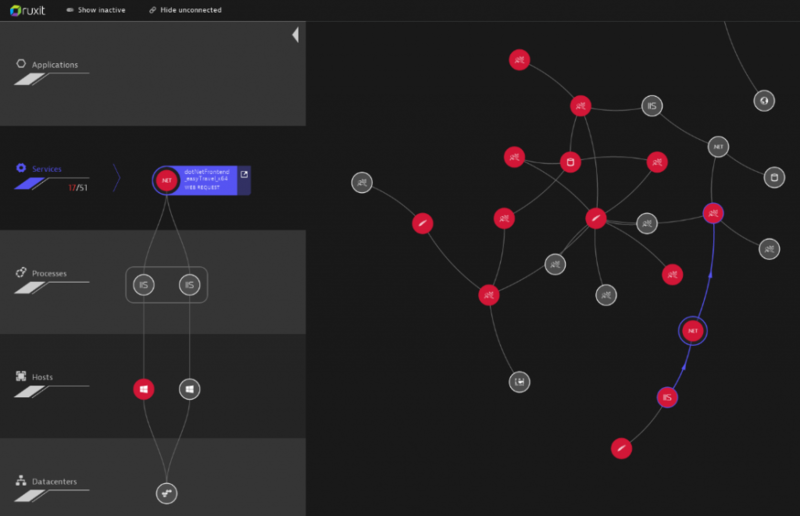 Even traces across multiple layers and applications are visualized in graphs. This has its advantages but takes some time getting used to it. Unfortunately while TraceView does support .NET it does not yet have code level visibility for it. This makes sense for AppNetta, which as a whole is more focused on large scale monitoring and has more of a network centric background. For DevOps in .NET environments however, it’s a bit lacking. Foglight, originally owned by Quest and now owned by Dell, is a well-known application performance management solution. It is clearly meant for operations monitoring and tracks all web requests. It integrates infrastructure and application monitoring, end to end tracing, and code level visibility on .NET, among other things. It has the required depth, but it’s rather complex to set up and obviously generates alert storms as far as I could experience. It takes a while to configure and get the data you need. Once properly set up though, you get a lot of insight into your .NET application. 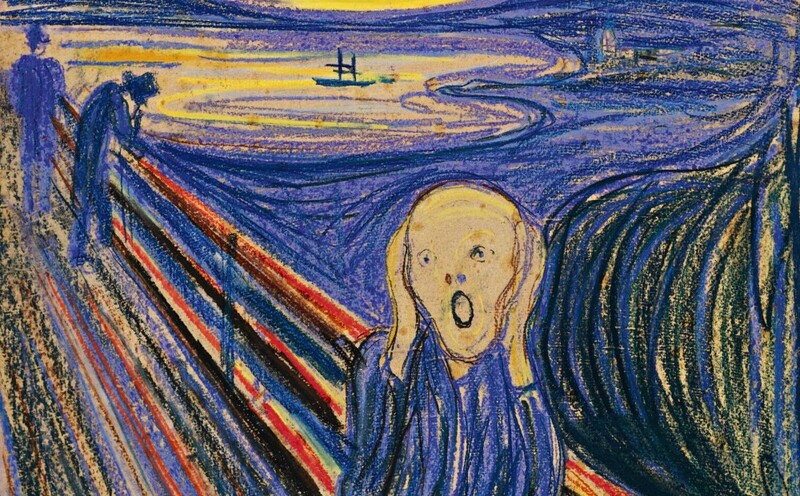 In a fast moving DevOps scenario though it might take too long to manually adapt to infrastructure changes. AppDynamics is well known in the APM space. Its offering is quite complete and it features .NET monitoring, quite nice transaction flow tracing, user experience, and code level profiling capabilities. It is production capable, though code level visibility may be limited here to reduce overhead. Apart from these features though, AppDynamics has some weaknesses, mainly the lack of IIS request visibility and the fact that it only features walk clock time with no CPU breakdown. Its flash-based web UI and rather cumbersome agent configuration can also be counted as negatives. Compared to others it’s also lacking in terms of infrastructure monitoring. Its pricing structure definitely targets the mid market. Manage Engine has traditionally focused on IT monitoring, but in recent years they added end user and application performance monitoring to their portfolio called APM Insight. 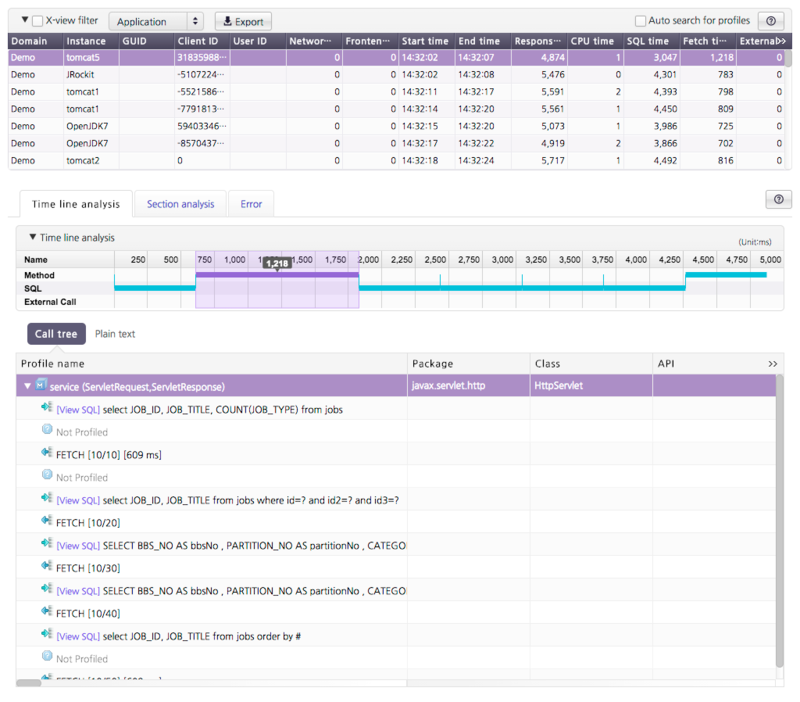 Manage Engine does give you metric level insight into .NET applications and transaction trace snap shots which give you code level stack traces and database interactions. However it’s apparent that Manage Engine is a monitoring tool and APM insight doesn’t provide the level of depth one might be accustomed to from other APM tools and profilers. JenniferSoft is a monitoring solution that provides nice real-time dashboarding and gives an overview of the topology of your environment. It enables users to see deviations in the speed of transactions with real time scatter charts and analysis of transactions. It provides “profiling” for IIS/.NET transactions, but only on single tiers and has no transaction tracing. Their strong suit is clearly cool dashboarding but not necessarily analytics. For example, they are the only vendor that features 3D animated dashboards. We had eventually setup our Office 365 (O365) tenant for eMail (read about that e.g. 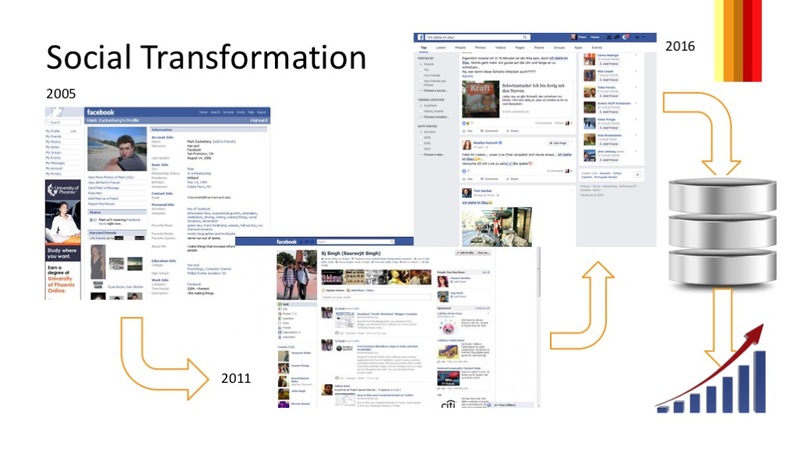 in the “Autodiscover” post) and, of course, wanted to leverage Sharepoint as well. My-sharepoint, either. And the “OneDrive for Business” Sync client (ODB) … whatelse. 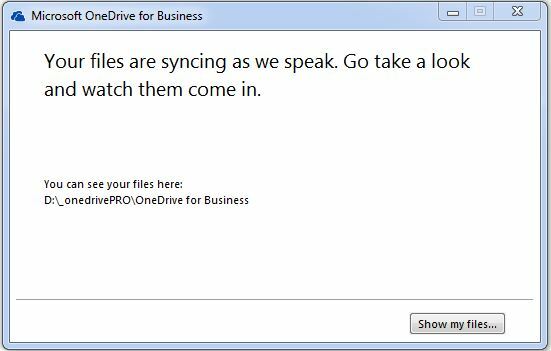 Presuming, you got the Office on-premise applications installed on your PC, items will quickly commence showing up in your “OneDrive for Business” folder within the “Favorites” area of explorer. So – no rocket science here. Users will easily be able to share their files with others. 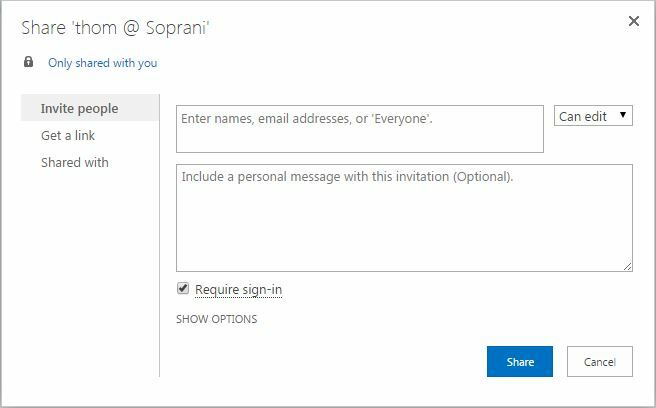 And once one’s done with sharing, invited colleagues will receive an eMail invite to the newly shared stuff which takes them into their browser and into O365 to actually see what’s newly shared with them. Get that into your Windows Explorer! Once, the necessary items were shared with every user of our tenant as needed, at least I was going right into my ODB sync folder in Explorer to await the newly shared files showing up. O-key, ODB takes a little while to sync it all (Hans Brender, Microsoft MVP for ODB, hence a real expert, wrote a great post on how syncing works in ODB). However, even waiting infinitely wouldn’t lead to us seeing any shared files. What we pretty quickly learned was, that the ODB sync client will – in its initial default setup – never ever sync anything that was shared with you. Only your own files will show up in Explorer. Period. Anything that has been shared with you, is accessible within your browser-based ODB access. Just click “shared with me” in the navigation on the left of the ODB portal and you’ll see it. Pretty lame, though, for anyone that’s used to work from within the Explorer and not e.g. from the browser or any of the Office applications. O365 with its Sharepoint functionality, of course, does offer the ability to create a site – which also contains a document library. Documents put there are available for anyone with permissions on that site. Permissions can even be set on a more granular level (e.g. management-only for certain folders, team-A on team-A-folders only, etc.). Navigating to that site’s document library offers you the same “sync” link possibility as with your own files (see screenshot above), i.e. in a few moments ODB will sync any file that’s eligible for you to be viewed or edited. Well — sync that! Just click to the “sync” link on top as described before and the ODB client on your PC adds another folder to the ODB folders in Explorer. And those will show exactly what has been shared with you from that library. Not 100% perfect maybe, as it leaves you with having to know “who” shared “what” with you, but still a possibility to work around having to create a teamsite or working from within the browser, only, if you don’t want to. Anybody out there knowing other options how to conveniently add shared files and folders to the local ODB folder tree? Please share your insight in a comment! P.S. – what about the doc-lib links? But I think, how to format all those links correctly for being used in the ODB client’s “Sync a new library” dialog has been already discussed all around the place in multiple posts on the web, anyway. 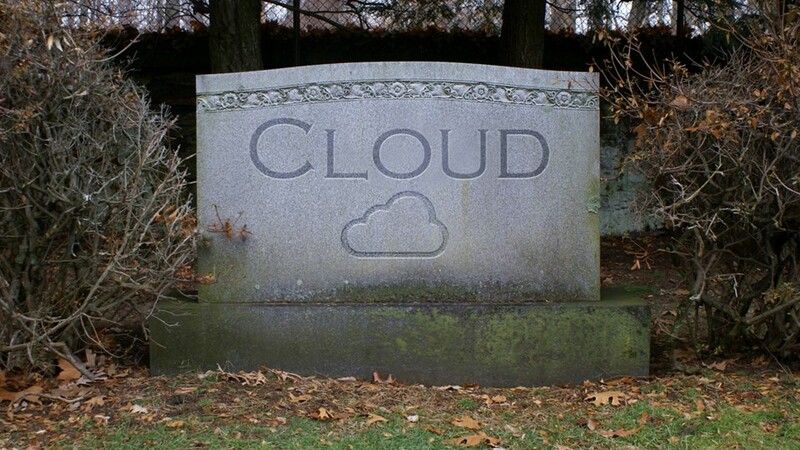 It’s “The End of the Cloud as we know it“, I said, recently. 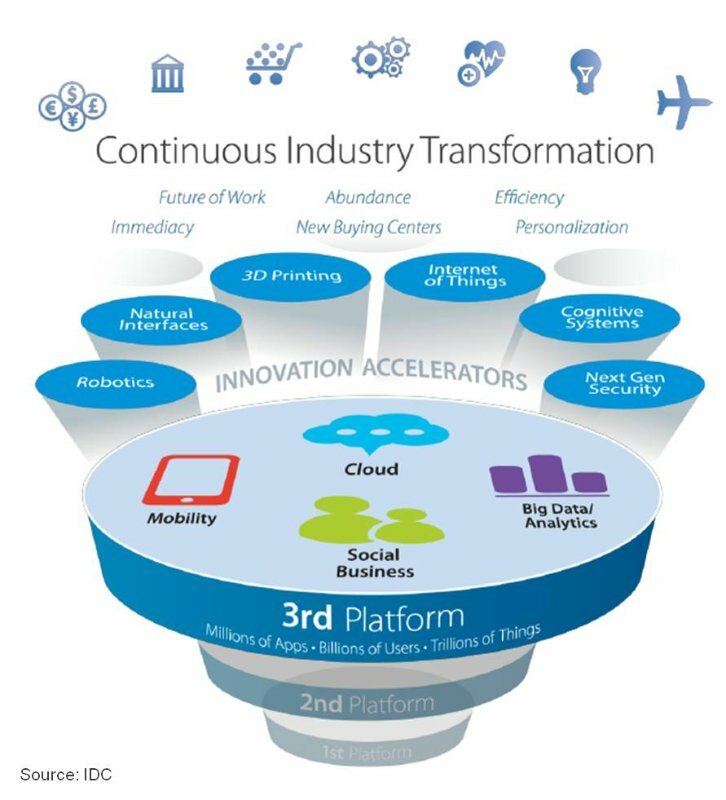 Gartner – in quite a similar way – sees The Cloud entering the trough of disillusionment with many signs of fatigue, partly accompanied by rampant “cloud washing” but also driven by many – if not all – vendors offering a Cloud Strategy although “many aren’t cloud-centric and some of their cloud strategies are in name only“. The early promises of massive cost savings are finally worn out for the benefit of more realistic advantages with a move into the cloud. And Gartner appreciates that Cloud continues to be one of the most hyped topics in IT history with organizations that develop a true cloud strategy focussing on the real benefits such as agility, speed, time to market and innovation. Digital Business – mainly driven by how the “Internet of Things” changes the way to do business and to interact with customers – will be the era where our physical and virtual world will blur and businesses will adopt and mature technologies like 3D printing/scanning, sensor- or machine-to-machine-technologies or even cryptocurrencies (e.g. BitCoin). We should be watching out for the main innovators in the healthcare domain to show us the way into and through this era within the next few years. 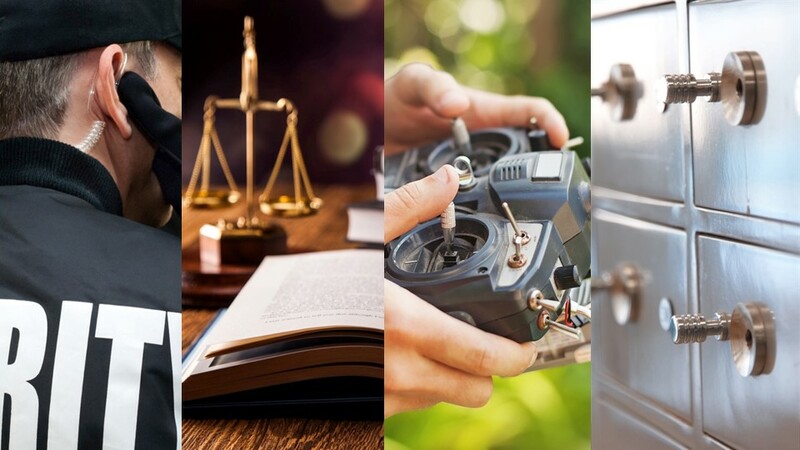 Autonomous – to me – is the most compelling of those 6 business era models. 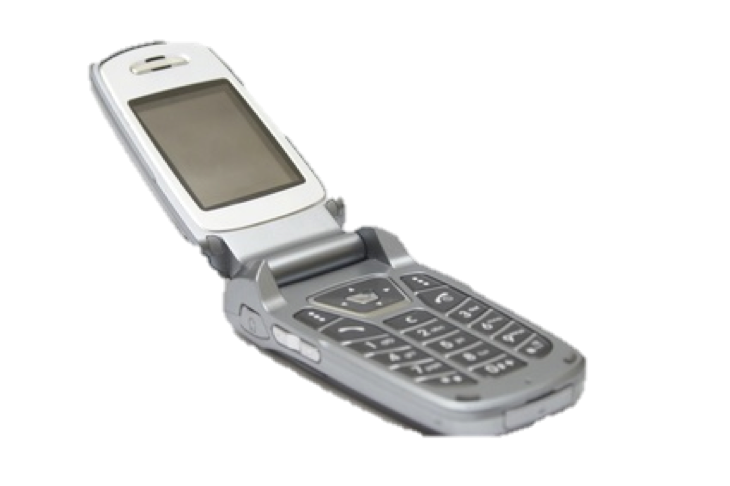 According to Gartner it represents the final postnexus stage (which i.m.h.o. 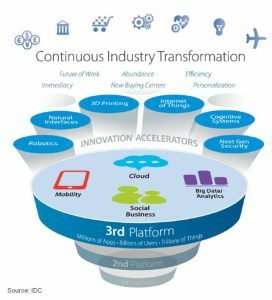 will change as evolution is ubiquitous and change is constant) and is characterized by organizations’ ability to “leverage technologies that provide humanlike or humanreplacing capabilities“. Enterprises having the capabilities to operate within this business era model will push innovative solutions of all kind, that allow normal day-2-day activity like driving cars, writing texts, understanding languages, assisting each other, … an automated – an autonomous – task. When writing “Innovation doesn’t happen in IT” last year around the same time, I was overwhelmed by the fact, that we’re commencing to leave an age where IT was to be a discipline in itself. It is in these days, that we sense an even stronger move into IT being ubiquitous, the nexus of forces being felt in our every-day lifes and IT becoming servant of what’s really important. I’m hoping for it being a humble servant!